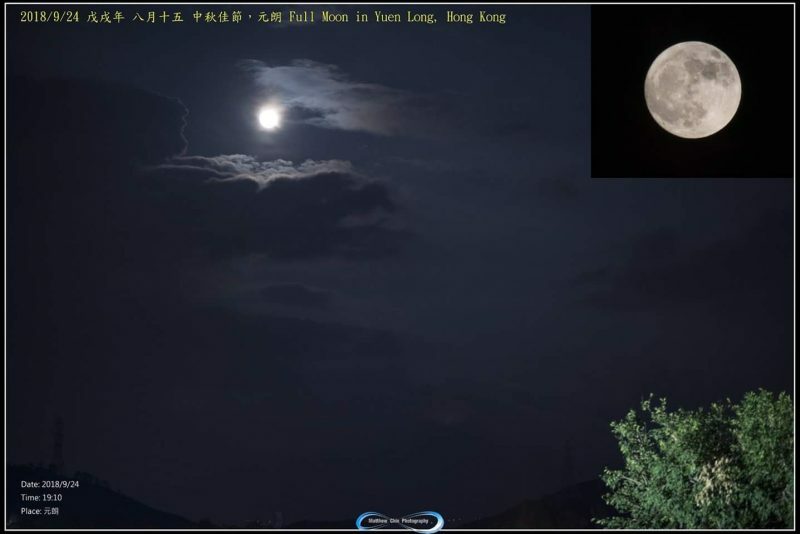 Photos from the EarthSky community of 2018’s Harvest Moon. Thanks to all who submitted or posted at EarthSky Facebook! 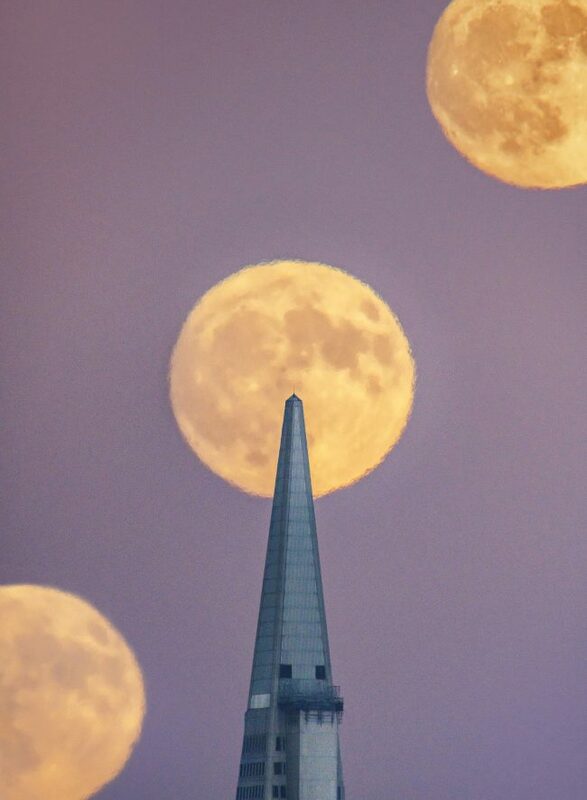 Kwong Liew in San Francisco wrote: “I took a series of shots over a 6-minute time. The shot with the moon on top of the Pyramid was chosen as a base and processed to adjust exposure, contrast, clarity and noise reduction. Selective burning/dodging applied on the building. Two additional shots were processed using the same settings and added on layers to form the final image. Image was planned using TPE, Photopills and other tracking app. Arrived on location 30 minute prior to set up. The atmospheric condition was not ideal as it was a little hazy, but the setting sun created a nice pink color backdrop. Shot on Sony A7R3, Canon FD 800 5.6L Lens + 1.4X converter.” Thank you! 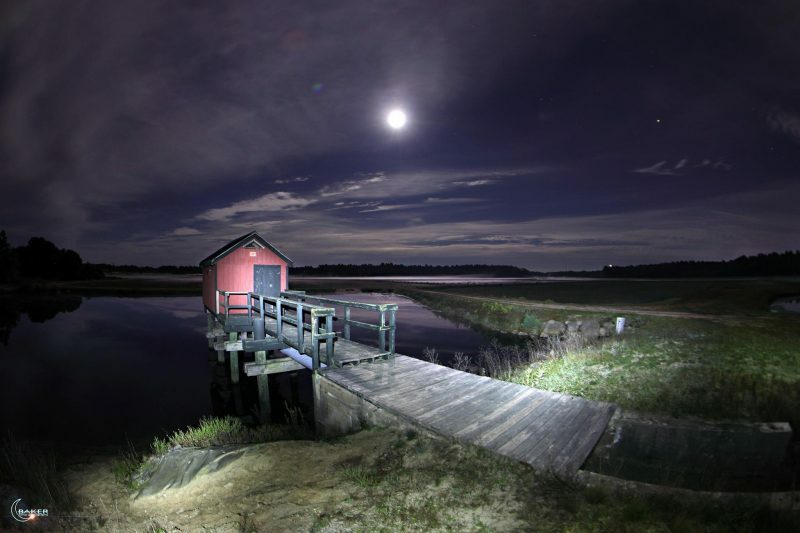 Full Harvest Moon over a cranberry bog — in Wareham, Massachusetts, September 24, 2018 – by Jacob Baker. 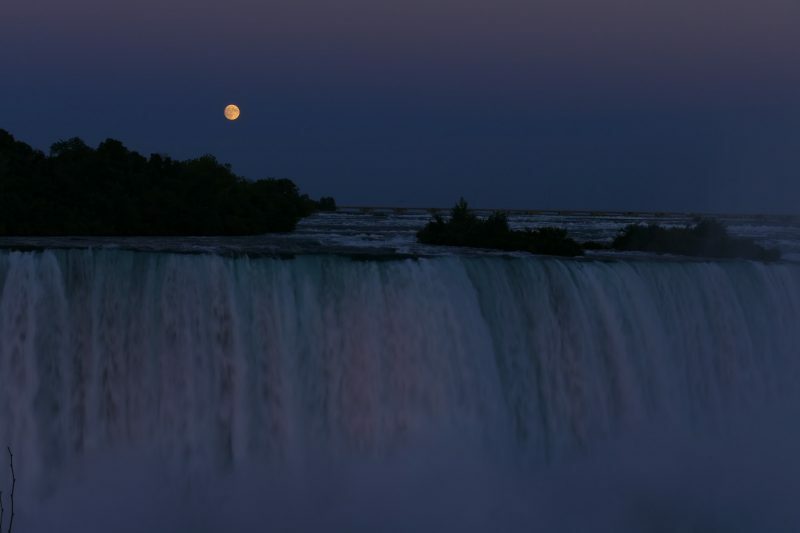 Harvest moon rising over Niagara Falls, between the Canadian province of Ontario and the American state of New York, by Bonnie Halda. 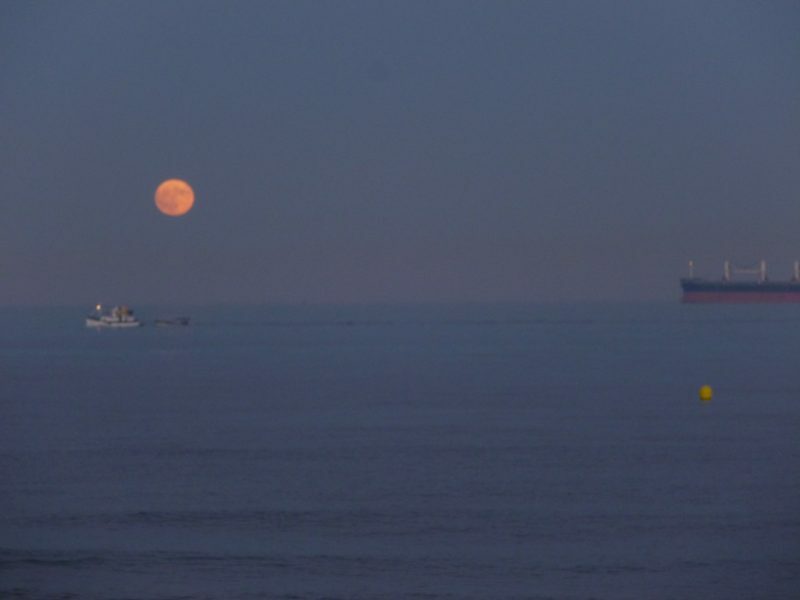 The full moon rising over the Mediterranean – September 24, 2018 – from La Línea de la Concepción, southern Spain, via Clarita. Dennis Schoenfelder caught this image on September 23, 2018. 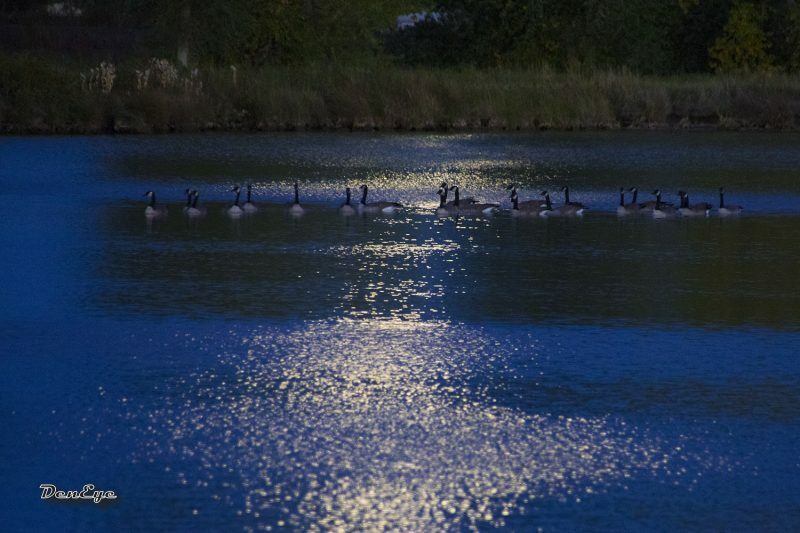 He wrote: “I was taking some shots of the moonrise and these geese photo bombed, I liked it. Canon 7D Tamron 16-300.” We like it, too, Dennis! Thank you. 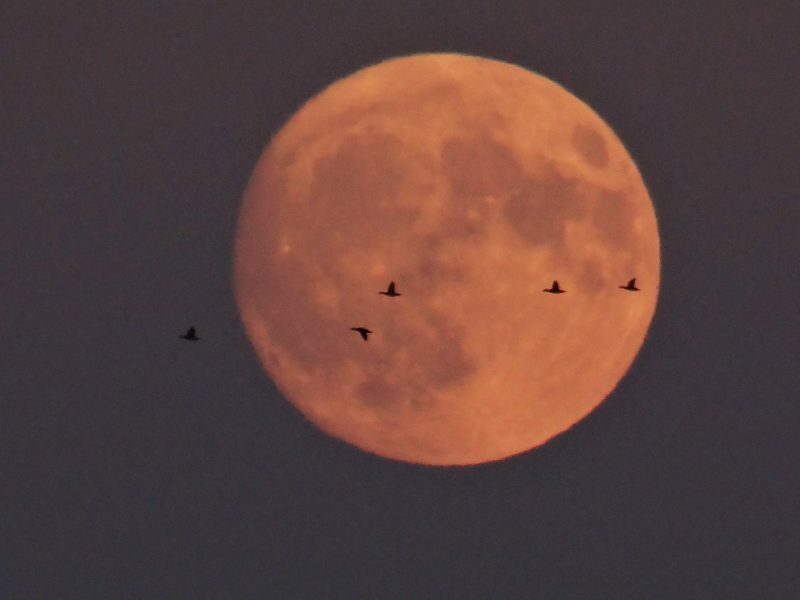 Bottom line: Photos of the September 2018 full Harvest Moon from the EarthSky community. 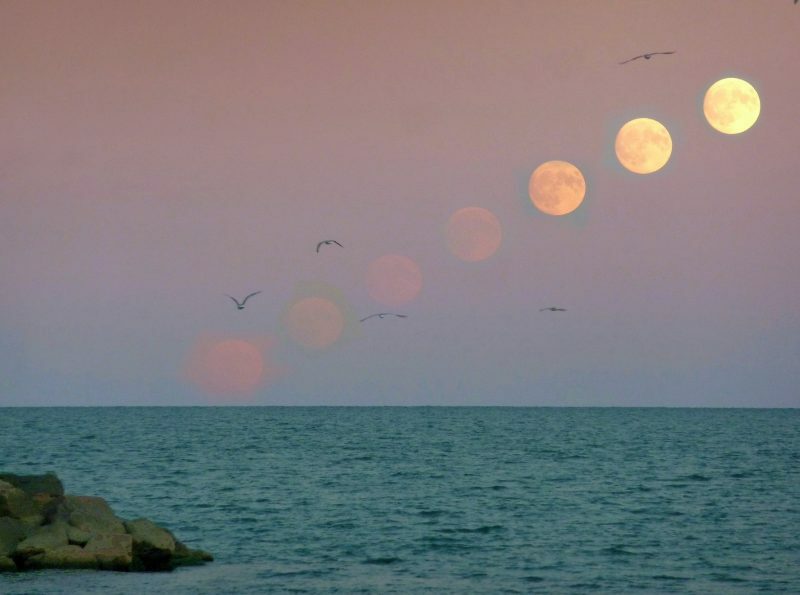 Thanks to all who submitted or posted at EarthSky Facebook!